Water heaters are an essential part of modern life. We rely upon them many times throughout the day. When they break down, you quickly realize just how much you use them. No one wants to wake up and take a cold shower before work, or wash dishes in cold water, so getting a new water heater up and running is top priority. It is important to not only have the water heater replacement in Apache Junction, AZ performed quickly, but also know your options for that replacement. For instance, do you want an electric water heater, or gas? Or perhaps an on-demand tank-less water heater is more your style. And what capacity do you need? Perhaps you want to upgrade to a larger one than you originally had, or maybe it's time to down-size. The price tag on water heater itself isn't the only thing to consider. The cost of running the water heater is also something you must think of for the long term. Water heaters require a good bit of energy to run, and depending on how often and how much hot water you require, it can create a lot of dollar signs. 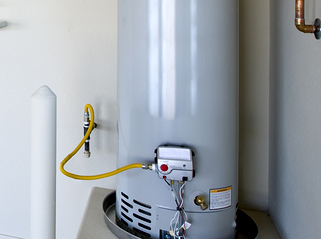 When your water heater is no longer functioning, you need one installed and running fast. The time it takes to research your options is a luxury you may not have. Consulting with a reliable company for water heater replacement in Apache Junction, AZ who is familiar with all the options can help speed up the process. They can explain your best options for the needs you have. They can show you cost comparisons of both the unit themselves, and the average costs to run them based on certain usages. They can help alleviate any confusions or questions of even the most novice home-owner. All the information you need without hours of researching it yourself.